Discussion in 'Georgia Race Tracks' started by Race Results, Aug 2, 2018. Monster Mania! Sprint Cars! Super Late Models! Waterless Boat Race! This is the month our families love the most! We have the opportunity to entertain so many fans and get to meet so many new fans with the unique schedule or events during the month of August. 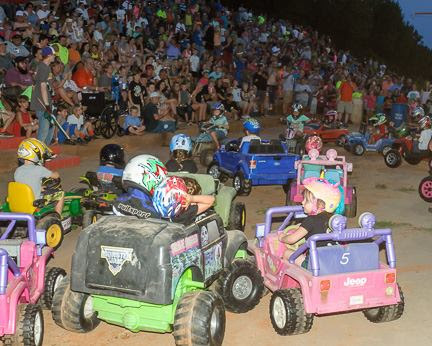 The Monster Trucks and Sprint Cars always bring new people to the track and the smiles, giggles and laughter of the kids at the crashing shows is worth all of the work we put into creating a family atmosphere at Senoia Raceway! We appreciate your support and invite you to join us when you can! One of the most anticipated events of the season is coming the Senoia Raceway this Saturday, August 4th as the track hosts it's annual Monster Mania and Tournament of Destruction. The event will feature several Monster Trucks along with a Demolition Derby, Dukes of Hazzard Jump, Outhouse Race, Kids Power Wheels Demo Derby and racing action in the Crate Late Models and Late Model Sportsman divisions. "We have fans call us about this show in March," said track promoter Mayes Massey. "We wreck almost everything in the place and the fans love to see all that crashing stuff. The kids love the Monster Trucks." 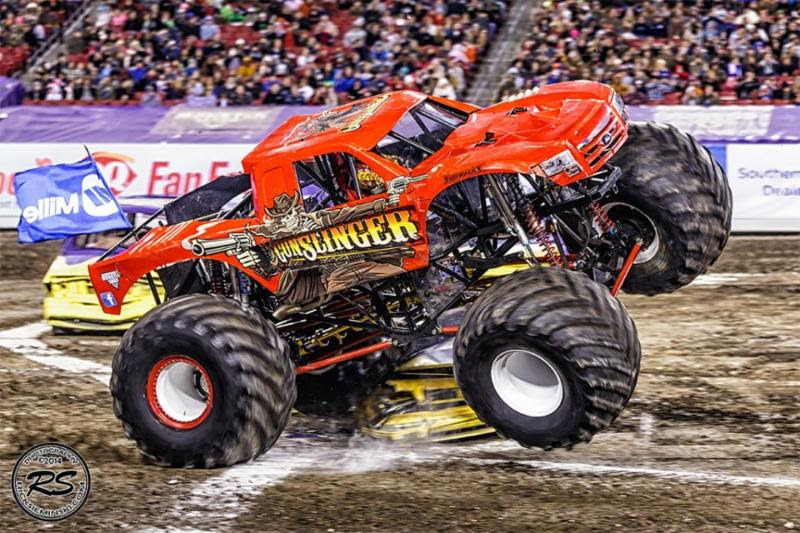 The world famous Gunslinger Monster Truck will be back this year to defend his Freestyle title from last season. "Freestyle is the competition is wide open for the driver of the Monster Truck," explained Massey. "He will perform high speed doughnuts, crush cars, jump over walls and destroy everything. It is driven by fan applause, so usually the guy who does the craziest act is going to win." War Wizard is also returning. The Tennessee based Monster Truck team has always been a favorite of fans across the country due to his wild body designs. War Wizard has also been the truck to beat in the Wheelie Contest for the past couple of seasons. "He has always been able to get his truck up on the rear wheels and ride it," Massey said. Storm Damage, Hurricane Force and Fullbore will also be competing and performing in the Monster Truck show this weekend. 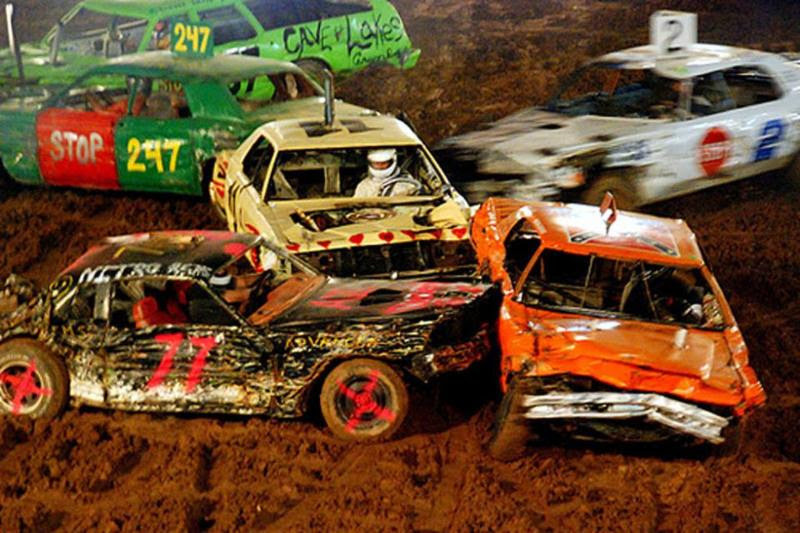 The Tournament of Destruction will feature an old-fashioned Demolition Derby with cars crashing into each other until only one remains running. The defending winners of the Demolition Derby are Winston's Marty Massey and Ed Dover who teamed up for the victory at the 2017 show. Massey expects a dozen or more of the kids to participate in the Kids Power Wheels Demo Derby on Saturday. Kids of all ages are invited to bring their plastic, battery powered vehicles along with any kind of protective headwear and have some bashing their Power Wheels into one another. All kids will receive winner's medals for participating. "The Kids Power Wheels Demo is one of the coolest events we have added to our annual show," said Massey. "It is not very high speed, so the kids kind of just bump into each other, but the smiles, giggles and laughter is a highlight of the evening." There is no additional cost to enter the Kids Power Wheels Demo Derby. Parents just need to bring the vehicles into the grandstand area, find their seats for the night and then when the event takes place bring their kids down in front of the grandstand for the competition. A couple of the Senoia Raceway weekly racing divisions will also get some track time on Saturday. The Crate Late Models and Late Model Sportsman divisions will be on the event schedule competing in qualifying and a feature race. The pits will open at 4pm Saturday with the grandstands opening at 5pm. Hot laps and qualifying will begin at 6:30pm with opening ceremonies and the first Monster Truck event at 7pm. Grandstand tickets can be purchased at the gate for $20. Kids ages five through twelve are $10 while four and under are admitted for free. A reserved seating area along the top row of the grandstand is available for $30. Parking is free. Senoia Raceway is located five miles west of Senoia, GA, on Georgia State Highway 20. Easy access from both Interstate 85 and Interstate 75. For additional information, event schedule, ticket prices and more, visit the track website at www.senoiaraceway.com or call the speedway at 770.599.6161. The winged outlaw sprint cars of the United Sprint Car Series will invade Senoia Raceway on Saturday, August 18th. Veteran race promoter Pete Walton an his wife Sherri have been promoting the series for over twenty years and continue to produce some of the best sprint car shows in the nation. This will be their ninth straight year of promoting this mid-August appearance at the South's Baddest Bull Ring. 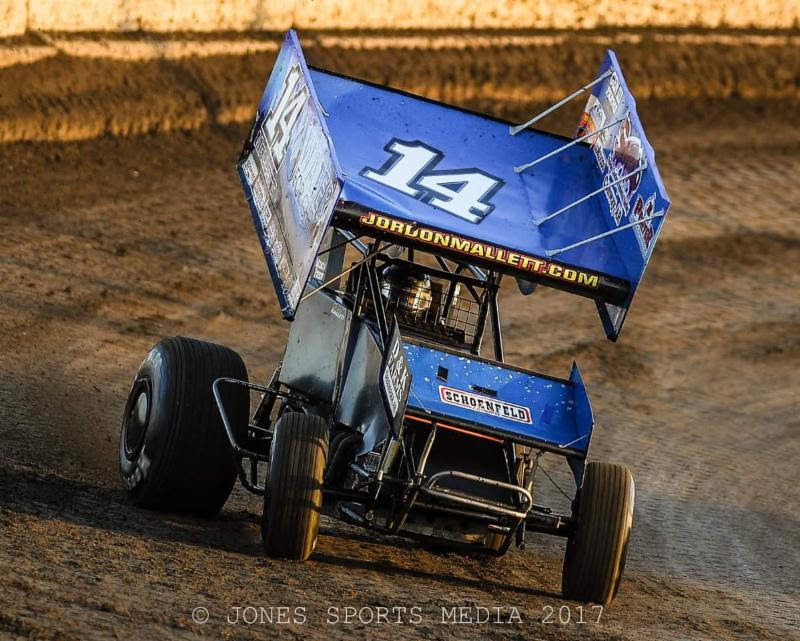 Race fans can expect to see some wide-open, pedal to the metal sprint car racing along with he 600cc mini-sprints and some of the weekly classes at Senoia raceway. "We have not put together the entire night's program," said Walton. "But, we have been having some really good race this season. I would not expect anything less on this icy-slick gumbo at Senoia Raceway."